I've had to answer questions like these many times. I know what it should be, but I don't always turn to God when the real real REAL goes down, and that is an indicator of how much faith I have in the Lord. 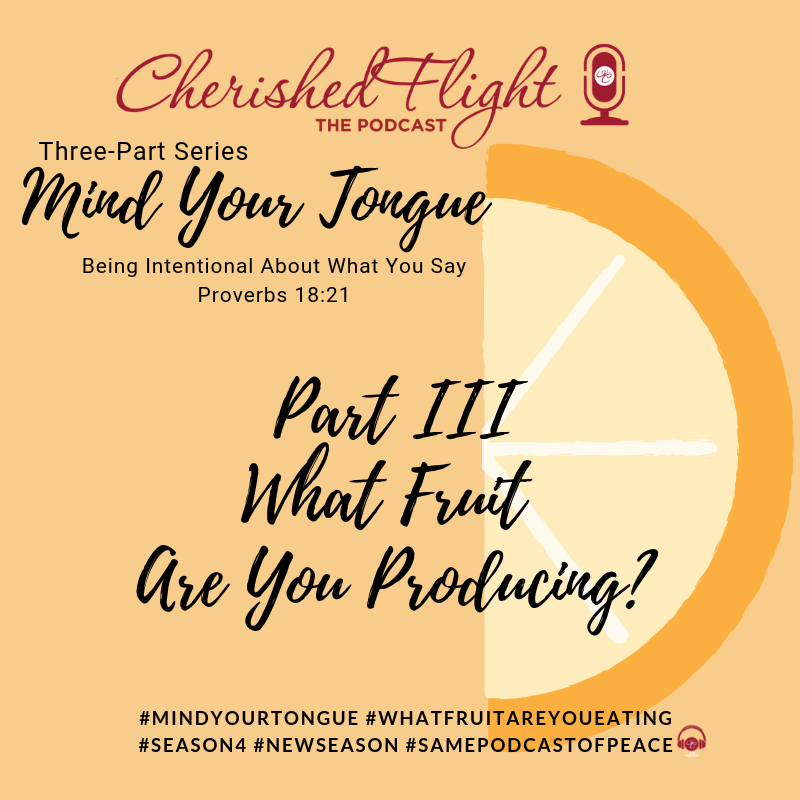 This week, I'm sharing the final installment in my "Mind Your Tongue" series with Part III: What Fruit Are You Producing? I'm very transparent in this epsiode, sharing my personal story of doubt during a season (7 years) of longsuffering that my husband and I endured, and how God used that season to build our faith. Please take a moment to listen to this episode, and to share it with someone you know who's going through a rough time. I pray they receive encouragement to get through the hard time.